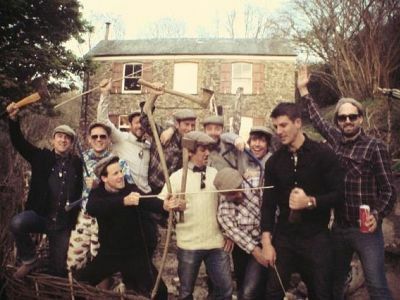 Described by our guests multiple times as the best Stag Do they have ever been on - this is our real speciality. 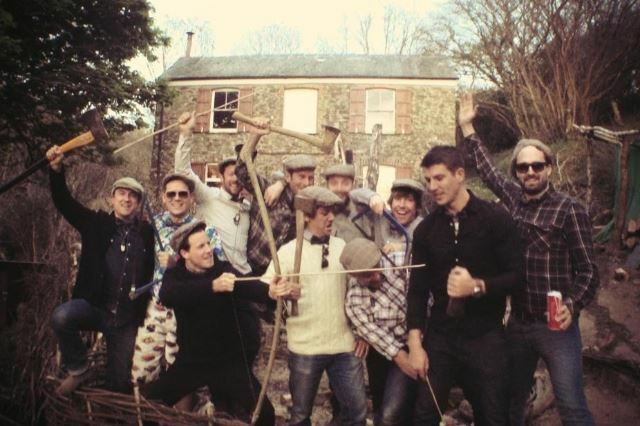 In an isolated location you can hire the 7th Rise venue to host your group of up to 18 guys to experience the wild and see the stag off in style! A total one stop shop with activities, accommodation, food and adventure. 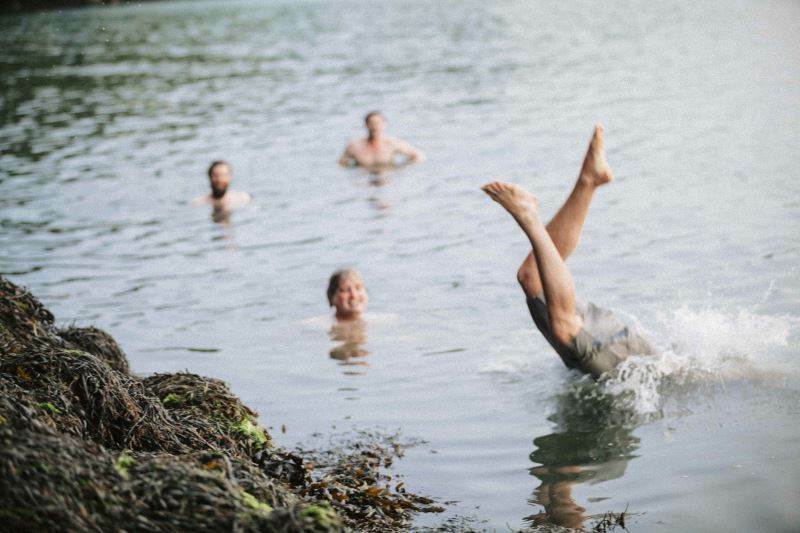 The Stag Party experience is the latest in wild adventures for a modern man. With courses run by the UK’s leading experts at a location designed as an adult’s wilderness playground, this package is the most popular 7th Rise experience. AXES, FIRES, KNIVES! 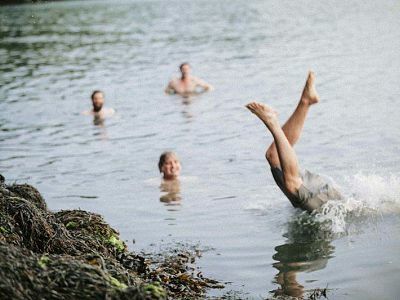 This session will give you all of the basic survival skills to carry you through the weekend. Starting fires from scratch (bow drill, magnesium striker stick, and fire piston techniques) through to expert knife and axe handling techniques, we encourage the group to be fully immersed in the experience and leave the responsibility of the firestarting up to you... so listen carefully! If time allows, we can also cover other advanced survival techniques like animal trapping, clean water collection and shelter building... everything you'd need to know if you were stranded in the wild! We're lucky enough to be based on the banks of the river Fal, and no adventure weekend would be complete without heading out onto the water. This session can be run a number of different ways depending on group experience and weather conditions. Fishing (if the river is clear enough), makeshift sailing Swallows and Amazon style (if its windy enough) or simply an exploratory trip up the coves and creeks of the river. Note that canoeing is weather dependent. If we cannot operate this course, we have to stay land based so we will do an Advanced Survival session. 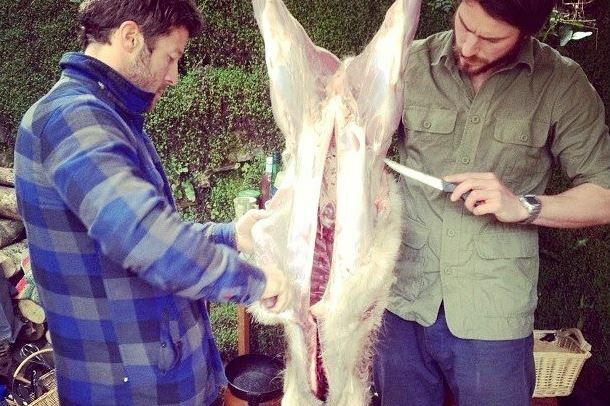 Get to know your way around a blade, a carcass and learn basic butchery skills. A great introduction to prepping your dinner for the flame! 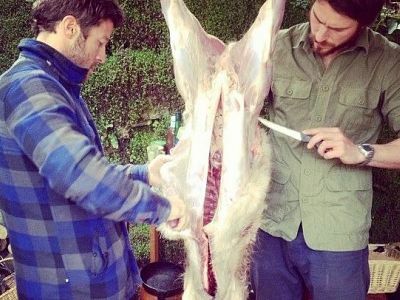 Our stag groups get a full deer carcass to butcher and learn the anatomy of the animal and skills of master butchers. We begin with a lesson in knife selection and sharpening before moving on to skinning techniques and breaking down a full carcass into different steaks, cuts and joints, all in preperation for providing the key ingredient to our famous venison specialiaty. 95% of the time we are able to source a deer carcass however with wild animals there is no guarentee as they are shot to order for us. As an alternative we offer rabbit carcasses for each group member to skin and butcher and demonstrations of other seasonal wild game, such as pigeon, pheasant or duck. Over the duration of the weekend you will also have plenty of time to explore the surroundings, relax in our hammock village and wild swim in our private creek. With free time incorporated into the weekend, you will also be able to add any personal games or stag challenges you wish to include to create a unique Stag Party like never before. Alcohol is not supplied over the weekend, however you are more than welcome to bring your own. Or contact us to add a Cornish touch to your weekend with supplying speciality local beers, such as Woodman's Wild Ale from our very own foraging expert Stuart at his award-winning micro brewery. Available in small or large barrels. The Stag Party experience runs from 4pm on Friday - 4pm on Sunday and the cost includes; all activities, ingredients, accommodation, equipment and refreshments for the duration of your stay. We pride ourselves on offering unique experiences so please contact us if you have any specific requests or questions; we can accommodate most things! We also understand that group sizes can change, therefore if you're unsure of your final numbers, we recommend securing your dates by booking the minimum of 12. Then keep us up to date via email on any group size changes.